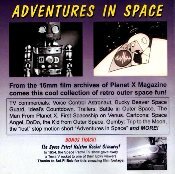 A collection of rare outer space short films, trailers, atomic age cartoons and space toy TV commercials. 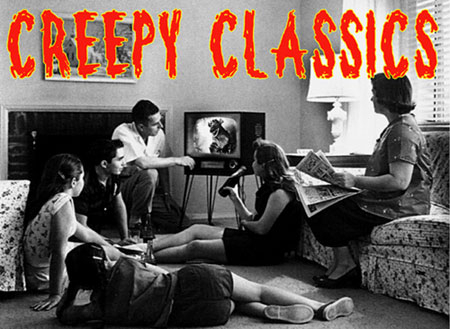 An amazing collection of clips, and featurettes that kids of the 1960s space age grew up with. Crazy sci-fi and real life projected science. Everything a kid in the 1960s or 70s wanted to see. Aliens, monsters, intergalactic space villains and rocket ships. Compiled in a fun, nutty style that in simply perfect. Loads of fun!